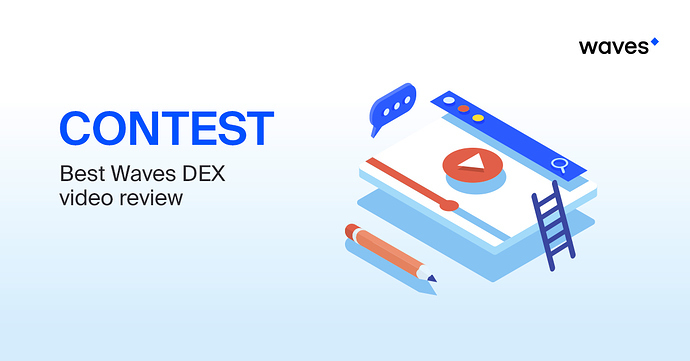 We’re inviting everyone to participate in a contest for the best Waves DEX video review! We’re looking for active community members who can make great reviews for the new Waves DEX. After the contest is over, we will award prizes to the three community members whose videos we find most useful and interesting. The contest will end on 12 July at 10 am (UTC+3). UPD: You can do it in any language. UPD 3: The contest has finished. Спасибо Татьян за приглашение но вынужден отказаться, в данное время очень занят. We will make a video about the waves dex. пожалуйста материал для работы !